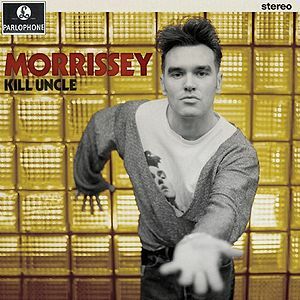 Kill Uncle is Morrissey's second solo album. Released on 4 March 1991 and produced by Clive Langer and Alan Winstanley, the album yeilded two singles "Our Frank and "Sing Your Life. 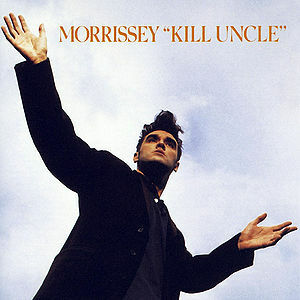 Originally intending to release 1990's Bona Drag as his follow-up to Viva Hate, Morrissey eventually decided to make the former album a compilation following the departure of co-writer and producer Stephen Street after a royalties dispute. On 8 April 2013, a newly remastered special edition of Kill Uncle was released. The original version of "There's A Place In Hell For Me And My Friends" was replaced with the version from At KROQ, and "Pashernate Love" and "East West" were added as extra tracks. The running order was also slightly rearranged. The album artwork was completely redesigned, with a partially colorized Kevin Cummins photo. This page was last modified on 23 February 2014, at 23:39.